Continuity of care is essential in medicine and particularly so in cosmetic surgery. Over the past 15 years our patients have been fortunate to have the same contact person year in and year out. The sense of familiarity and comfort that this allows is a unique quality of our practice. At Weston Plastic Surgery, our team is committed to our patients to ensure that they receive the best possible care. With our knowledge and over 30 years’ experience we are eager to educate patients about board-certified plastic surgeon Dr. Robert Rothfield’s procedures and we are always available to answer any questions or concerns patients may have. Lisa Volk has been in the beauty business for over 20 years. She began her career in electrolysis in 1986 in Dallas, Texas. After moving to Florida in 1992 she trained at the Ray Mar Institute sharpening her skills as an aesthetician and studied massage therapy at the Florida College of Natural Health. 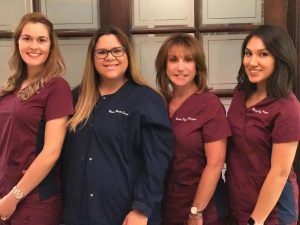 Over the last 17 years while actively working as an aesthetician and certified medical electrologist she has also fulfilled all of the requirements to be a certified laser hair technician. 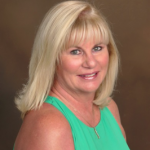 Lisa is currently the treasurer for the Electrolysis Association of Florida and plans on continuing in this position to educate members and the public in electrolysis and laser hair removal. Over the last four years Lisa has developed an enthusiastic following at Weston Plastic Surgery both as an aesthetician and as a certified laser hair technician. Her knowledge has made her an invaluable resource to many of our patients. Please contact our cosmetic surgery staff for more information or to schedule a complimentary consultation with Dr. Rothfield. I am completely and utterly happy with my results and it hasn’t even been 2 weeks. Dr. Rothfield is a perfectionist and an amazing surgeon. I cannot wait to see my results as time goes on. Oh an let me not forget the AMAZING AND FRIENDLY STAFF in his office! Thank you Dr.Rothfield and Staff!! !